Melody Halsey checks the surgery staples on her foster dog Mekos, a seven-year-old male Bulldog mix, at her home in Toledo. Mekos came to the Halsey family through Planned Pethood with heart worm and needing surgery for a swallowed poker chip. Like many members of rescue organizations, Ms. Hasley is fiercely committed to helping animals in need. She and her husband have three young children and usually fosters more than five dogs at a time. Sisters Peg Coutcher and Therese Kralovic keep good care of a First Communion dress made from the fabric of their maternal grandmother's wedding gown worn in 1908. The First Communion dress has been worn by at least 14 girls over more than four generations, including the 10 holding the dress, pictured. The dress is made from fabric of a wedding gown worn by Emily Schimpf on her wedding on September 30, 1908, to her husband Michael. "He wouldn't save me from that accident without a purpose and every day I give Him thanks," Diana Dixon said. Ms. Dixon was driving a tractor-trailer through the Toledo area at around 5 a.m. on Aug. 4, 2011, when she witnessed a car accident on northbound I-475 in Maumee and stopped to help. While out of her rig, another tractor-trailer hit one of the cars involved in the initial accident and careened toward Ms. Dixon. She leapt off the freeway viaduct and fell 30 feet to the Ohio Turnpike’s median, shattering her pelvis, among other injuries. Three people were killed in the wreck. Now, she's healed and back to driving a big rig. Ms. Dixon credits her faith to helping her recover, and wants to spread the word of Christ by ministering on the road. Mistella Mekonnen, a resident of Hillsdale, wore a special hat her friend custom made to Rosa Parks' funeral. Mekonnen had driven an hour and a half and, like many other people, had arrived several hours early to wait in an increasingly long line for limited public seating. The funeral of the civil rights icon was attended by thousands of both dignitaries and local citizens. 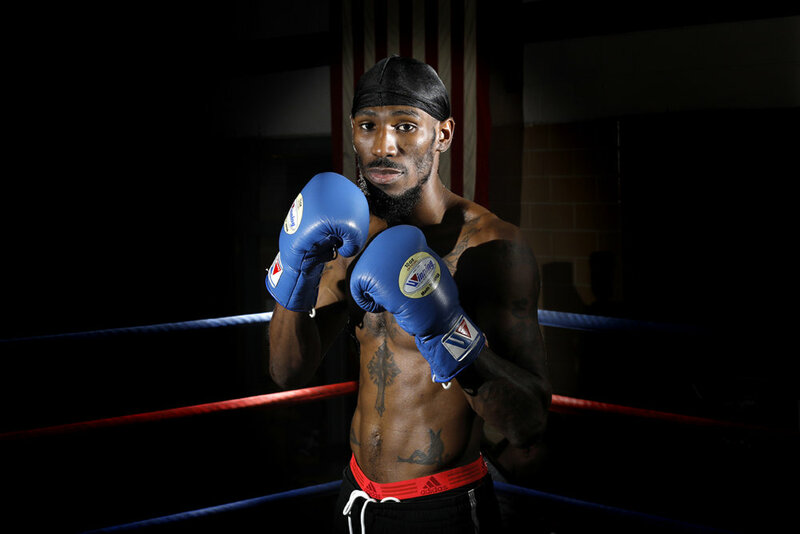 Robert Easter, Jr. continues to train where he got his start: Glass City Boxing Gym in Toledo. Easter, the IBF lightweight champion, successfully defended his title against Javier Fortuna on Jan 20, 2018, at the Barclays Center Brooklyn. 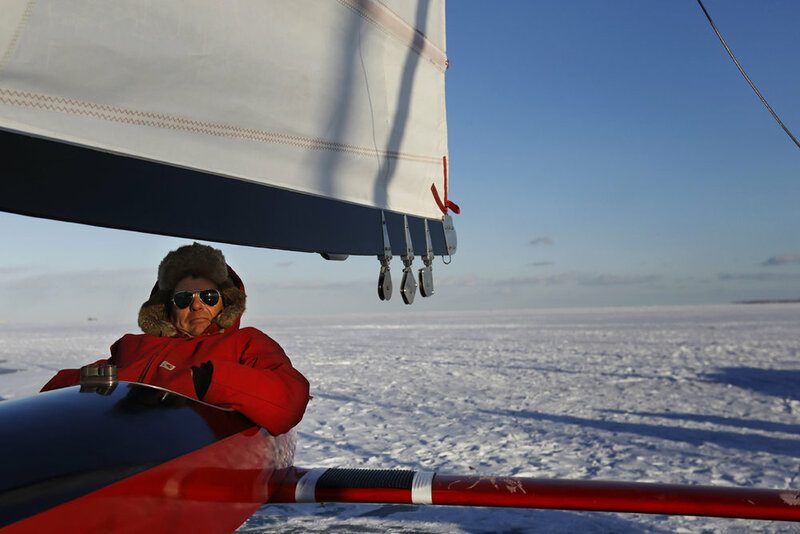 Les Lashaway, a member of the Toledo Ice Yacht Club, sits in his 1960 Renegade ice boat as the sun sets over the frozen shoreline of Lake Erie Saturday, January 6, 2018, in Point Place. Cold temperatures have helped to freeze the bays and rivers in the area, opening them up for various kinds winter sporting. The yacht club plans to race the boats Sunday, January 7, 2018. Clara Male, then 14, takes a moment to herself while waiting in front of 150 guests for her father to bring over her high heels, which symbolize her ascension into young womanhood on her 15th birthday. As the only Hispanic girl in her class to have a Quince Años celebration, Male had to write letters to the parents of schoolmates she wanted on her court, explaining the traditional Latin American ceremony. April Taylor had her son Marshaun, 15, recently transferred to Rogers High School for a fresh start. He was suspended three times in the past school year from his previous high school. Ms. Taylor said she didn't feel the punishments were warranted. Black students make up 43 percent of the Toledo Public Schools student population, but account for 67 percent of suspensions in the past year. The number reflect a similar trend of higher rates of suspensions for black students across the country, according to a recent study from the congressional Government Accountability Office. Greg Stone holds his 3-month-old son, Malaki, in his apartment just outside of Jackson. Stone is an aspiring hip-hop artist and self-professed Juggalo, or fan of the band Insane Clown Posse. Before turning to music Stone had briefly run a local backyard wrestling tournament and had a stint as a mall Easter Bunny. Stone says the birth of his son has inspired him to pursue his own music. Norma Jean Williams, 72, stands near a flooded area of Norwood Court, an old brick road located just outside downtown Toledo. Ms. Williams has lived at a home located on Norwood Court since 1991 and has watched it crumble into severe disrepair. The court's six houses are nearly inaccessible via the road, which is deeply bowed and often flooded. Though the City of Toledo is responsible for the trash, sewer and ploughing of the road, it is technically private and therefore remains in severe disrepair. The City of Toledo is strapped for cash, spending only $20 million a year on the $1.3 billion it would need to repair the roads. Laura Baldwin holds her son Logan as she takes turns feeing the rest of her quadruplets at the home she shares with her husband, Bill, and their three-year-old daughter, Leah, in Swanton. The babies, from left, Reghan, Madalyn and Ryan, are fraternal quadruplets. They were born three months ago at thirty weeks. "I keep them to remind me of where we come from," David D. Johnson said of the dried cotton and peanut plant he hangs in his produce store in Toledo. Mr. Johnson is the owner of Johnson Produce Market, which is located in a neighborhood whose residents have few options for fresh, affordable produce. He grows a large portion of what he sells, both at a greenhouse around the corner from his store and on a five acre farm outside Toledo. "Sometimes you have to make a miracle," Jeff Albring, top, said of seeking treatment to help his son Nathaniel, 12, bottom. Jeff and his wife Jill are looking to raise $50,000 to pay for stem cell treatment for Nathaniel, who is severely impaired as a result of drowning when he was two. The amount will also cover the travel expense for the couple, who are headed to Russia for the treatment over four days in mid-July. The couple say there isn't much doctors can do here to help their son at this point because this form of stem cell treatment is currently unavailable in the United States, but the Albrings aren't giving up hope. "It's your child,"Jill said. "You just do what you have to do for them." 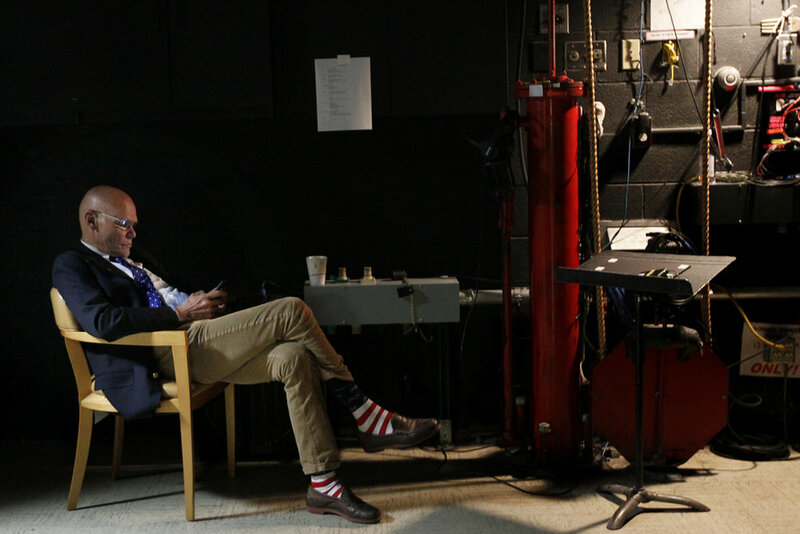 Political pundit James Carville waits backstage before debating with Tucker Carlson Wednesday, October 26, 2016, at Stranahan Theater in south Toledo. The pair were featured writers in this year's Authors! Authors! lineup. The event is sponsored by The Blade and the Toledo-Lucas County Public Library. Ival Hendrick, 93, holds a photograph of himself taken a few months before the attack on Pearl Harbor in 1941. Hendrick was stationed near the harbor when the Japanese attacked. The truck he caught on the way to the harbor got stuck in the road, leaving him and the men in it open targets for the Japanese who flew overhead. From his position he could see the ships under heavy fire. "I could see the boys in the burning water," Hendrick said. "Dec. 7 we didn't have no ammunition, we didn't have no guns. The only thing I had was a 1903 Springfield riffle." Eddie McCants, 7, peers out the window of his living room while waiting for dinner to begin at his home in Flint. McCants, whose Yoruba name is Akindele or The Honored One Enters the Home, is being raised by his parents with a strong focus on African culture and history. In addition to attending the Nsoroma Institute, an African centered K-8 school in South Field, Eddie plays djembe along with his father, who is a teacher at the school, and older brother, as well as helping his mother perform traditional African drum and dance.